Professional Learning Communities (PLC) is a term developed and explored by Richard Dufour. It outlines some essential mechanisms and big ideas about what teachers should believe, how they should connect and how their work should focus on student learning. Learn more about what makes a PLC effective in education - Dr. Steven Katz: What Makes a PLC Effective? 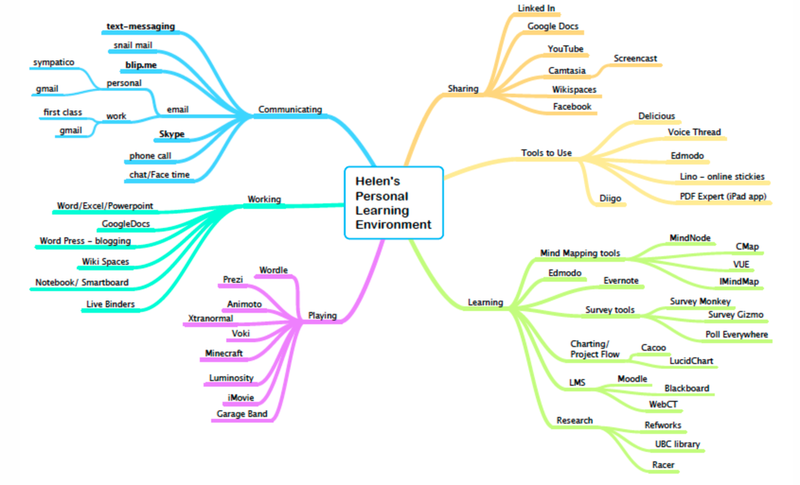 Personal and professional learning environments are the connected tools and resources you rely on to do your 'work' of teaching and/or learning. These tools and resources are immediately available in your context and environment. One image it includes laboratory, watering hole, campfire, cave and show-off. Using these two samples as a model for a PLN/PLE image, take some time to create a personal learning network for your teaching practice as it looks today. 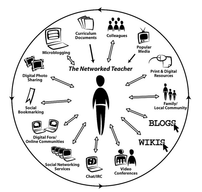 You can add any and all connections, organizations, interests and digital tools your are currently applying to your teaching & learning. 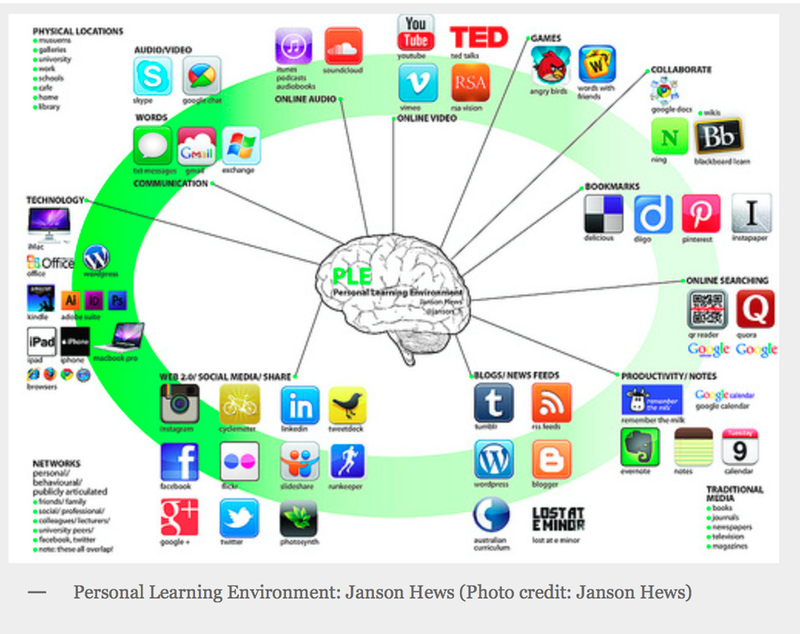 Use a concept mapping tool such as Mindomo to help you visualize your PLN and PLE.